Rahil Gangjee led a band of five Indians into the weekend at the Queen's Cup golf tournament on Friday. None of the Indians had completed their first round on Thursday and on Friday, Gangjee shot 68 and 72 in the first two rounds to be placed tied-17th. 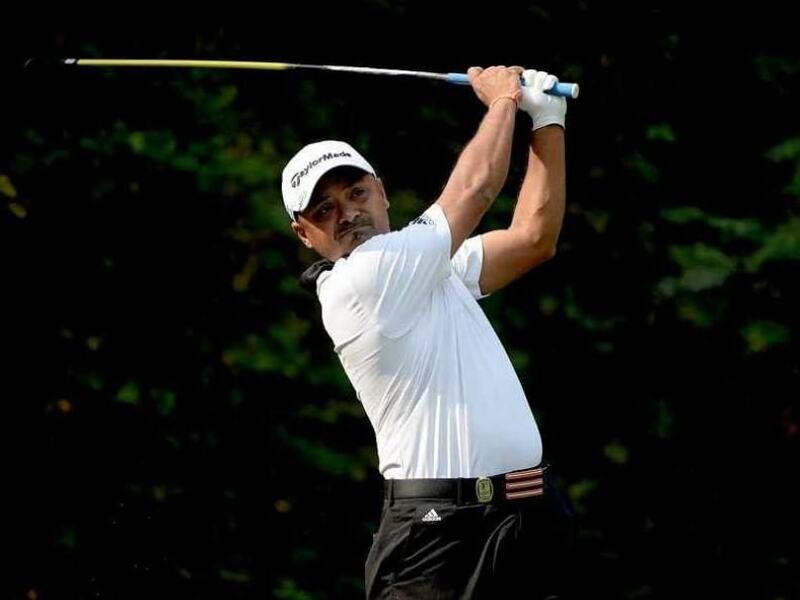 Other Indians making the cut were Himmat Rai (71-70) and S Chikkarangapppa (70-71) were tied 27th, while SSP Chawrasia (73-70) was tied-39th and Chiragh Kumar (73-72). Missing the cut were Amardip Malik (77-71), Khalin Joshi (78-72) and Shubhankar Sharma (74-78). Thai favourite Prom Meesawat earned the joint clubhouse halfway lead following his career best round of six-under-par 65 at Santiburi Samui Country Club. Nicknamed the Big Dolphin Prom joined American Paul Peterson and Spaniard Carlos Pigem atop the leaderboard at the weather-hit USD 300,000 Asian Tour tournament after snaring six birdies, including four on the trot on his homeward home. Peterson also enjoyed a flying 65, highlighted by a superb eagle from 30 feet on the par five 18th hole while Pigem propelled into contention for a maiden Asian Tour title with a solid 69. Two weather disruptions, one in the morning and another in the afternoon, meant that 67 players, including overnight leader Thaworn Wiratchant and title holder Prayad Marksaeng, will return at 7am Saturday to complete their second rounds. Round three will commence no earlier than 9am. Thai youngster Jazz Janewattananond returned a fine 67 to lie one back of the leading trio while big-hitting Aussie Scott Hend moved into contention with a 69 to lie three shots off the pace.